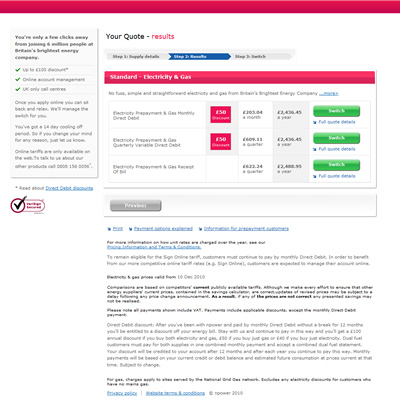 Web of Ideas were contracted to work on a 'switch and save' application for the nPower corporate website. 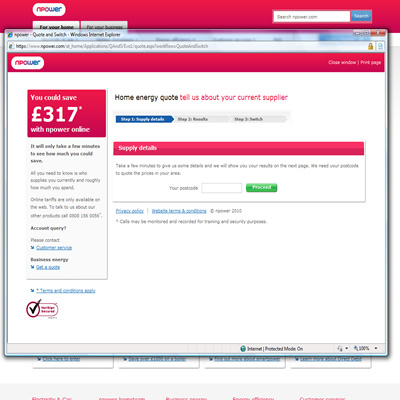 The web application allows website users to compare their current electricity and gas payments with those on offer from nPower. 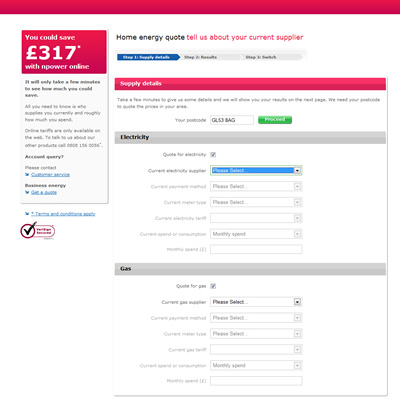 They can can then take the process to the next stage and switch their provider to nPower online. The web application is secure (using SSL secure sockets layer) and utilises advanced techniques for high volume websites, including multiple web and application servers. The site can easily handle thousands of customers per day.